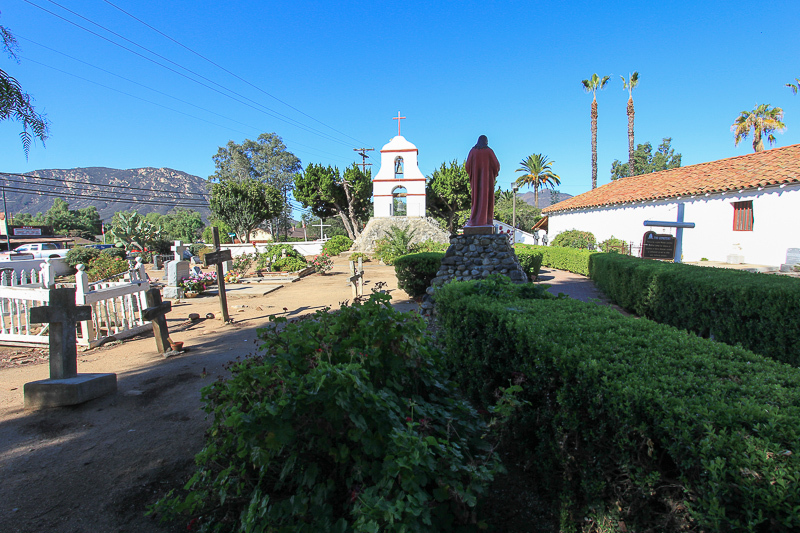 September 24, 2014 - Today's adventure was to visit the Mission San Antonio de Pala, located in Pala, CA. 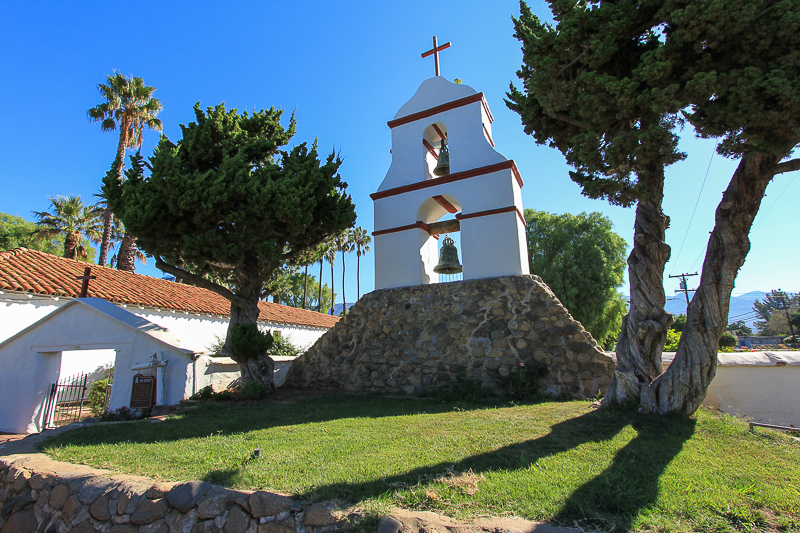 This "mission" has been affectionately called California's 22nd mission, but it was not one of the original twenty-one California Missions, it was an "Asistencia" (a sub-mission) of the Mission San Luis Rey de Francia in Oceanside, CA. 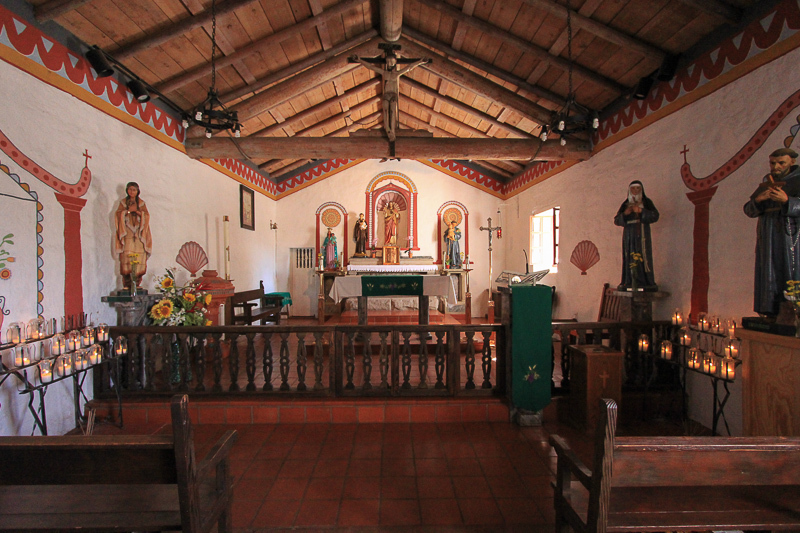 It was established in 1816 by Padre Antonio Peyri and is the only surviving Asistencia in the mission system. 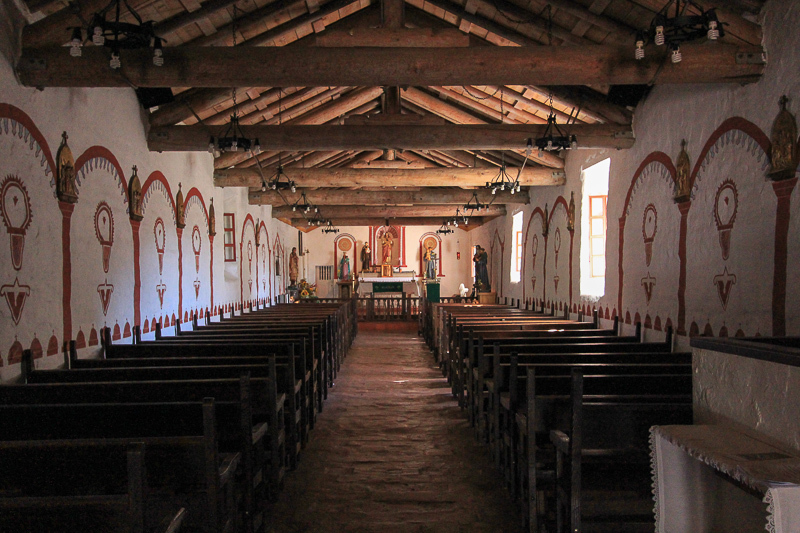 The Asistencia was named in honor of Saint Anthony of Padua, the patron saint of finding lost possessions. 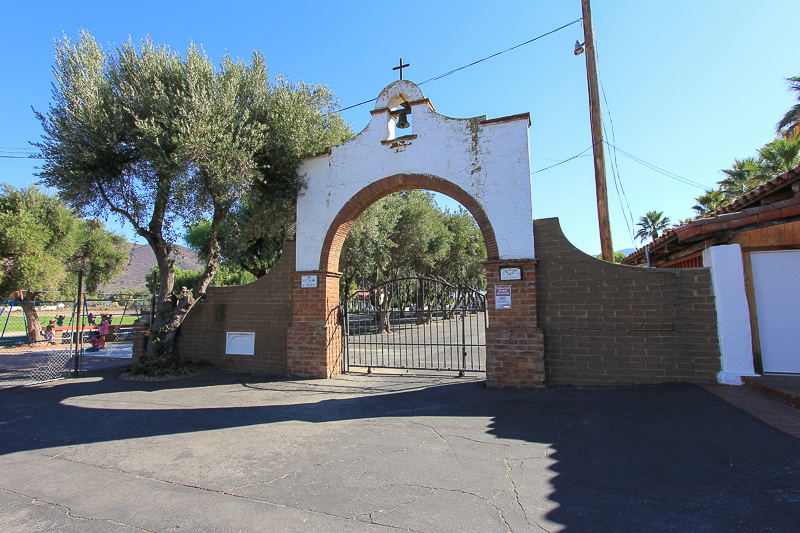 The Asistencia continues to be an active church serving the Pala Band of Mission Indians on their 12,273-acre reservation. 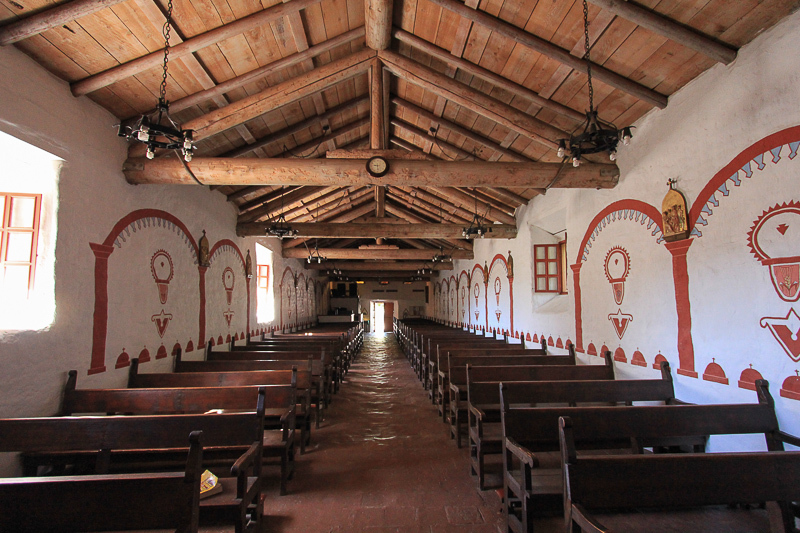 This mission is the only one of the original Spanish California Missions to survive in its purpose of service to the Native American Indians. 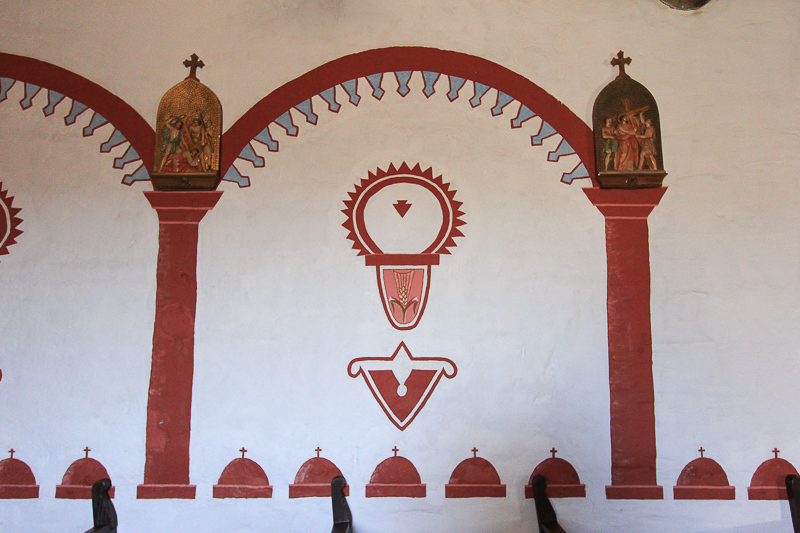 The long chapel displays Indian paintings on the walls. 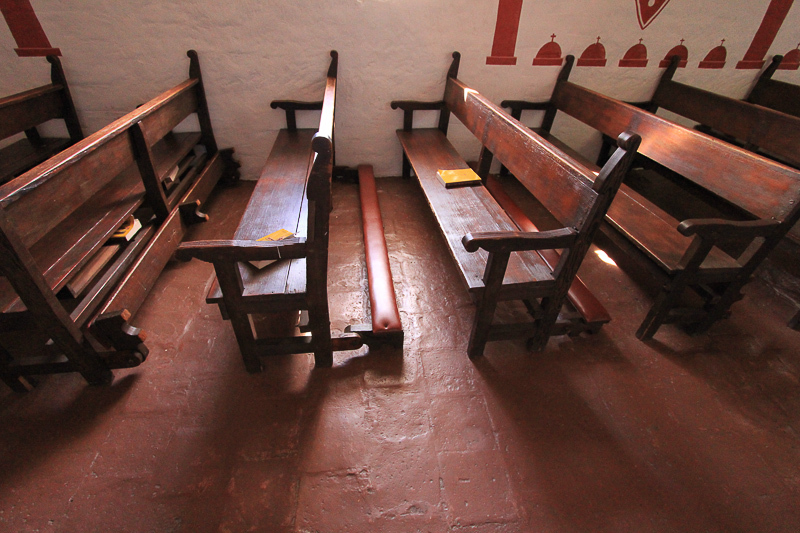 The floor of the chapel is the original floor. 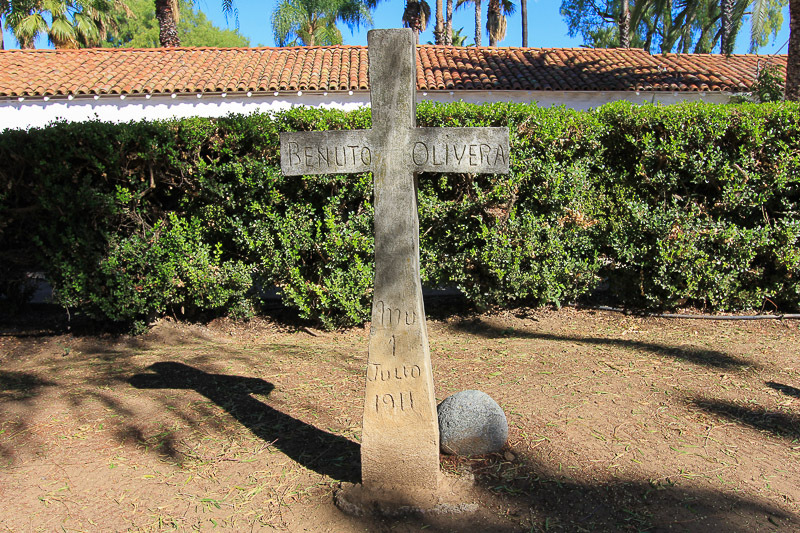 Next to the chapel is the old cemetery, in which hundreds of Native Americans were buried. 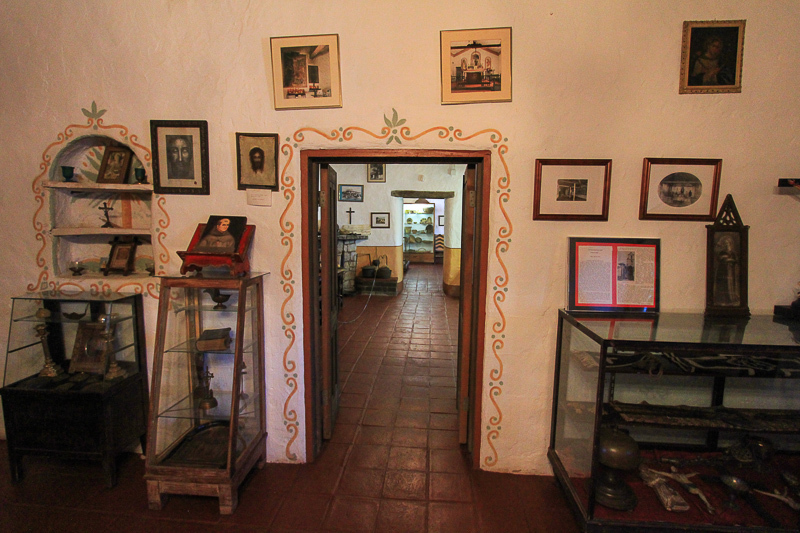 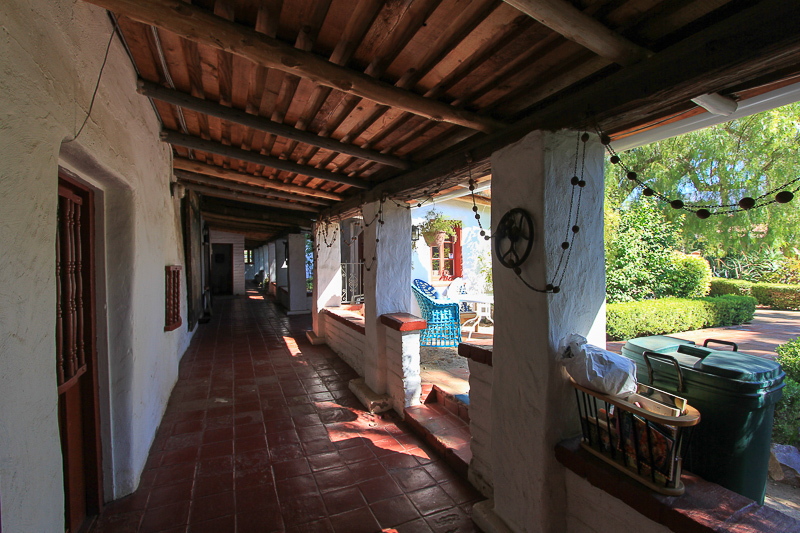 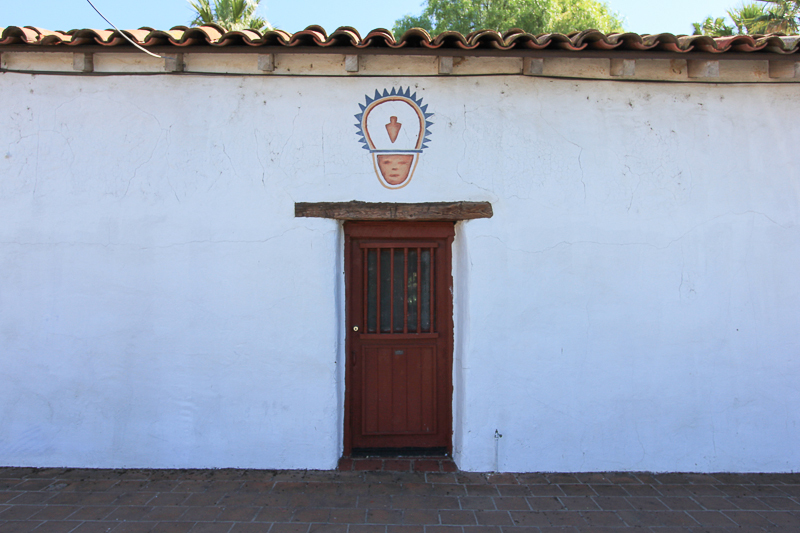 The museum is housed in the original west wing of the Mission Complex and has a rich display of Indian artifacts and other important relics of Pala Mission. 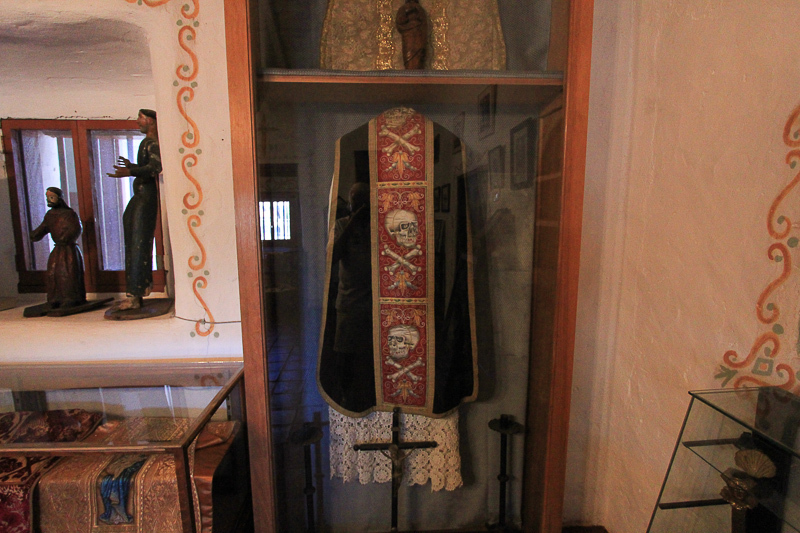 The skull and cross bones vestment was only worn when funeral services were performed during the early 1800's. 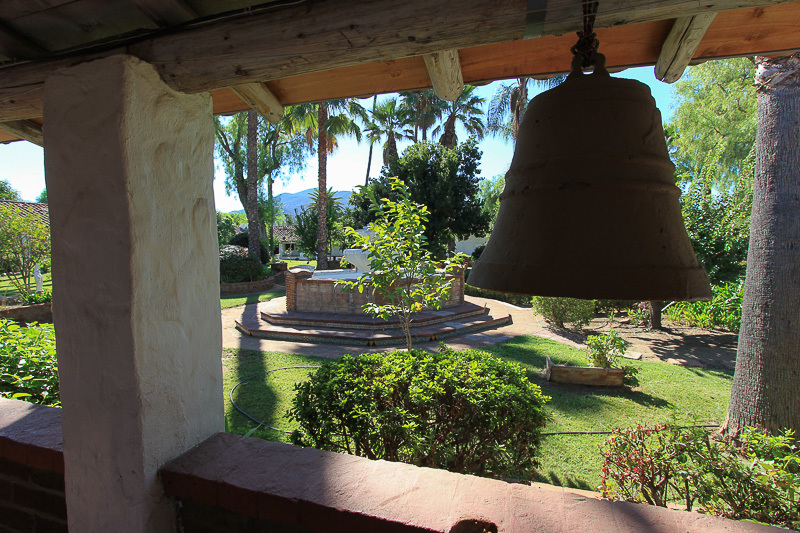 The patio and gardens are enclosed within the original quadrangle of the complex. 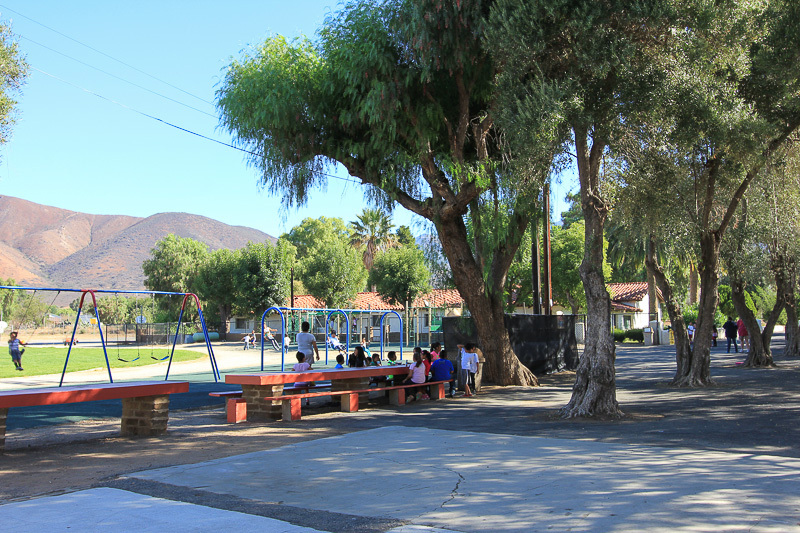 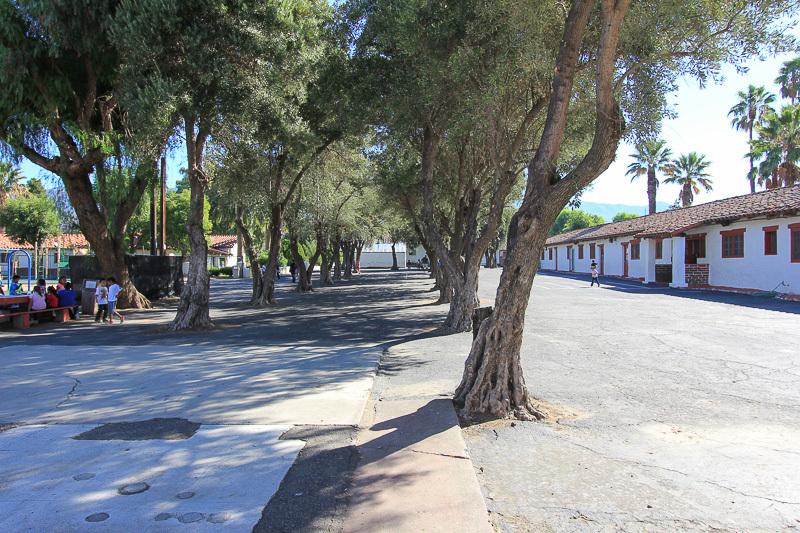 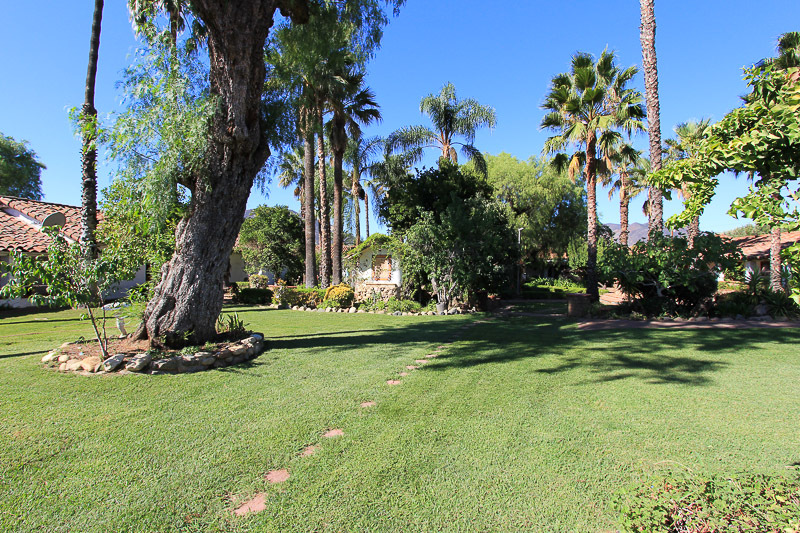 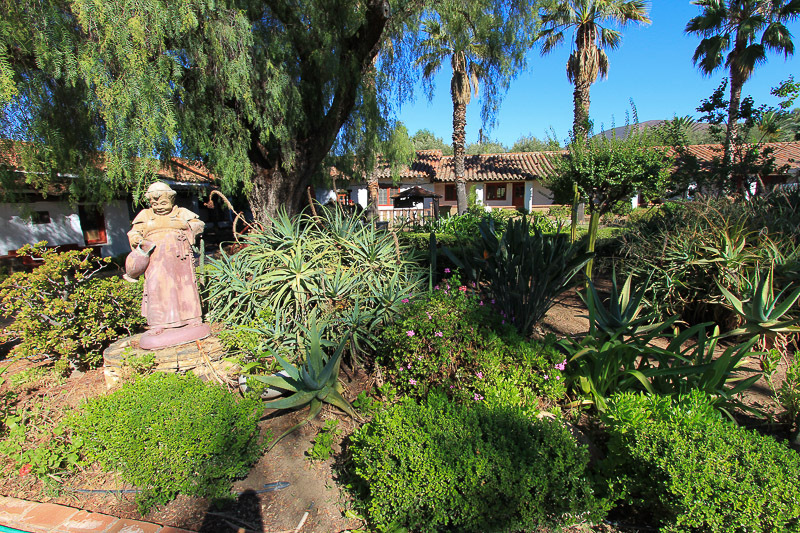 Since the mission is located within the Pala Indian Reservation, everything connected to the mission is in use on a daily basis, including the Vivian Banks Charter School. 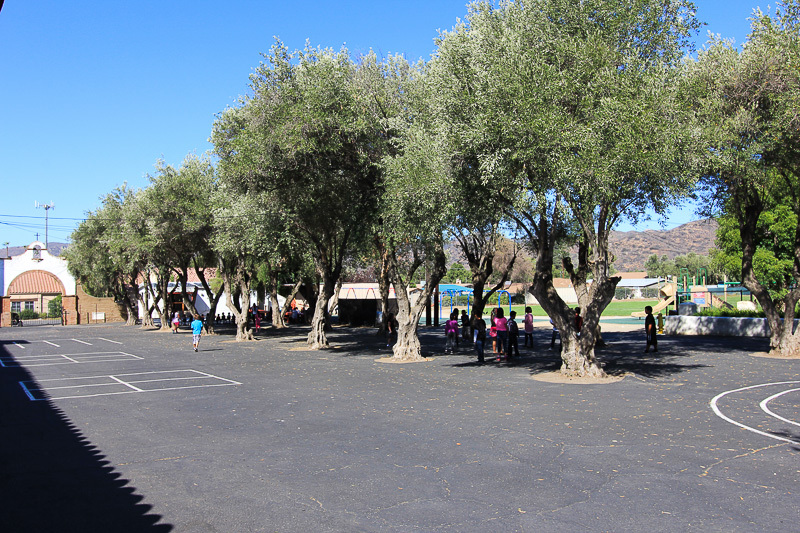 There are a little over 100 students here enrolled in kindergarten through fifth grade. 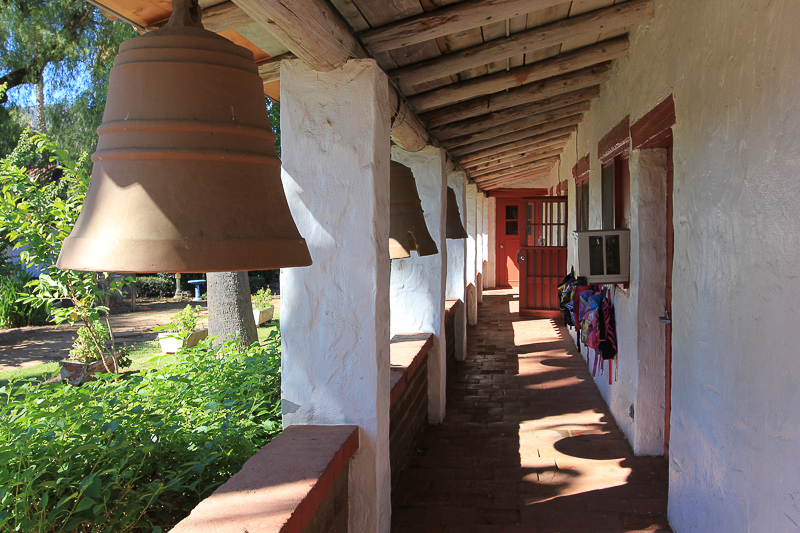 Mission bells and back packs, that pretty much says it all. 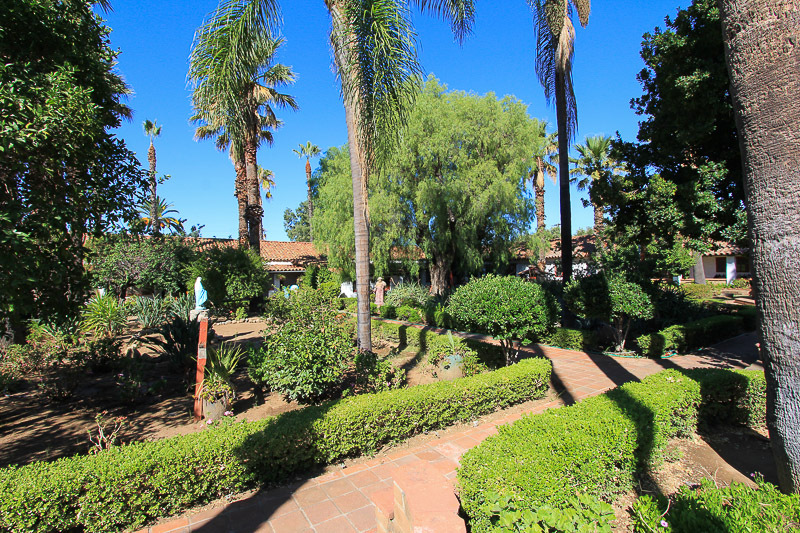 After the mission we had lunch at the nearby Pala Casino and tried our luck at the tables. 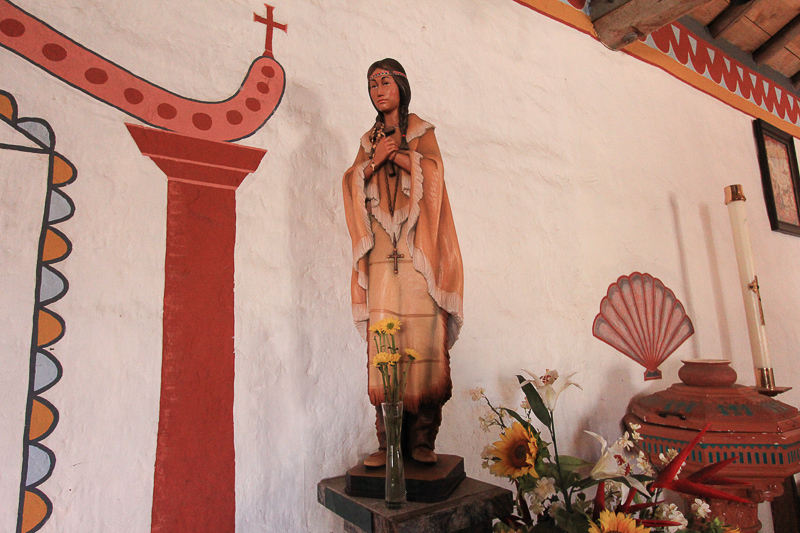 I won a little and Judy lost a little, so we collectively broke even with the Pala Band of Mission Indians.